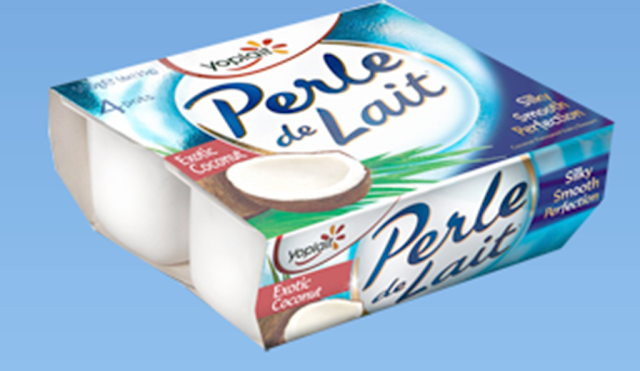 Put quite simply Perle De Lait Exotic Coconut is the most delicious yoghurt I have ever had the pleasure to indulge in. Thick, creamy and smooth with a delicate taste of coconut, its ingredients include cream, shredded coconut and coconut milk. I have tried coconut flavoured yoghurts before and been turned off of them due to the synthetic taste but these are out of this world. * I purchased 2 packs on buy one get one free - one coconut, one raspberry. This is one of my favourite yoghurts! I always pick up a pack or two when they're on offer, especially as I try and eat yoghurt for dessert over cake and things as it is far healthier. Also, my boyfriend isn't a fan of coconut so I get them all to myself - yay!! I think more brands should do coconut flavoured yoghurt mmmmmm!